Step 1- If you do not have origami paper, you may cut 2 squares from a regular piece of office paper. Then cut those squares into 2 equal size rectangles. 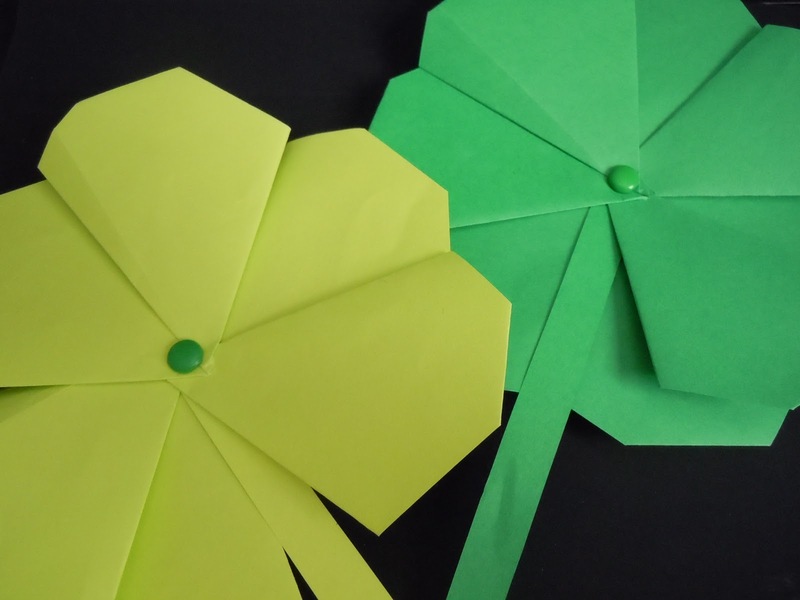 Step 2- When you fold the paper back on itself, you are forming one of the clover leaves. Clovers are symmetrical so that fold should create 2 roughly equal size triangles. Step 4- These two folds create the thinner triangles that make up the shamrock. The two folds back should be roughly the same size. However, this is your chance to compensate for any misfolds from Step 2 in order to create symmetrical leaves. So, flip the shamrock over as you decide where you will make your fold to control the shape of your final shamrock. Step 9- I didn't do well gluing these together. I, instead, punches small holes in the point of each leaf and the stem. 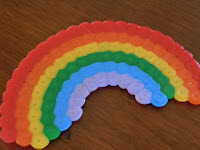 Then, I threaded them onto a small, green paper fastener and pinched it closed. This worked beautifully. Finally, this activity may challenge your youngest angels but with your help they can do this, too. In fact, my angel's first shamrock looked better than mine! If your angel hasn't learned to fold, yet, this is the perfect activity to help them with that necessary skill. You may help them decide where the fold should occur and they can press the fold into the paper. Voila! Success!